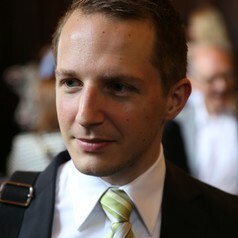 Dr Marco J Haenssgen is Assistant Professor in Global Sustainable Development at the University of Warwick. He is a mixed-methods development studies researcher, focusing geographically on Asia and thematically on human behaviour and policy implementation in contexts of marginalisation and societal change (e.g. technology diffusion). His research currently investigates the social context of antimicrobial resistance (a global health priority), exploring rural healthcare-seeking behaviours, how people understand antibiotics and illness, their constraints in accessing healthcare, and the intended and unintended consequences of health interventions. Marco has previously worked in global health, aid evaluation, management consulting, and intergovernmental policy. He holds a DPhil in International Development (2015) and MPhil in Development Studies (2012) from the University of Oxford and a BSc in General Management from the European Business School, Oestrich-Winkel (2009; now EBS University of Business and Law).